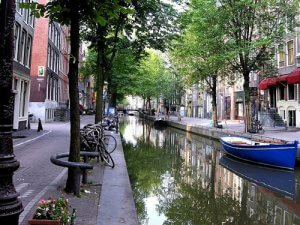 What do I hope for and expect in such a huge city as Amsterdam city? Visitors to Amsterdam city will find there’s no shortage of exciting activities to keep them busy. As well as many well-trodden tourist paths (for instance, the famous canal cruise), there’s also an array of perhaps lesser known destinations that are all equally as enticing. For instance, why not take a walk through one of the city’s most charming neighbourhoods: Jordann? With its narrow lanes and wonderful architecture it’s a lot like stepping back in time, and among its many bars and restaurants you’ll discover a bounty of art galleries, antique shops and hidden courty ard gardens. If sampling fine, artisan beer under a windmill sounds like something you might enjoy, then the de Gooyer in the Eastern Islands neighbourhood might be just the thing for you. An award-winning brewery, they offer guided tours and the chance to sample their organic beer on a large outdoor drinking terrace. Or, for those feeling brave, why not sample herring from one of the city’s many herring carts? The fish is raw, but don’t let that deter you; it’s a quintessential part of Holland’s rich, culinary heritage, and as such it’s not one to be missed. Another gift to foodies everywhere is the Food Hallen, where you can eat your way through an amazing selection of high quality street-food served by vendors all gathered together under one roof in Amsterdam city. In the modern building on Museumplein, visitors have the opportunity to get up close and personal with over 1000 pieces by Vincent Van Gogh. Housing many of his most famous works, it’s a comprehensive collection, unsurpassed and truly breath-taking to behold. The Museumplein is also home to the Stedelijk Museum of Modern Art, and during the winter months the district’s large outdoor square is transformed into a vast ice-rink. A paradise for art-lovers, it features open-air exhibitions and markets all year round. So, as you can see, there’s no shortage of memorable experiences to be gleaned from this amazing city, and if it’s low cost, comfortable accommodation you’re after, look no further than the Amsterdam Hostel Uptown.